Robert has been gone a year now but his presence is still felt around these parts. He was truly a man of action, always on the move getting things done. 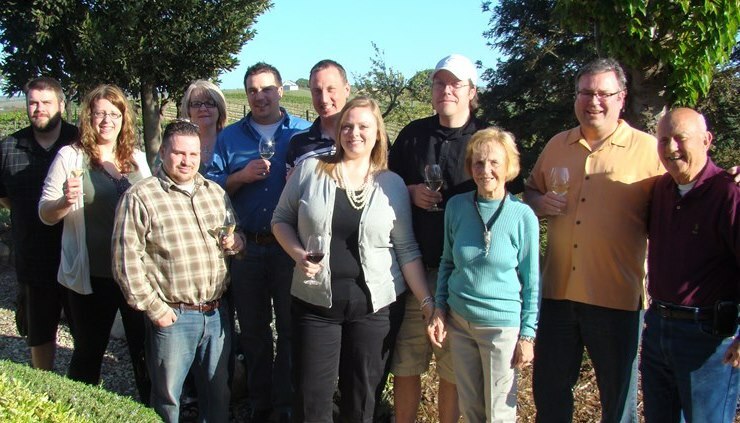 Of the many business projects Robert undertook the Robert Hall Winery in Paso Robles remains the most impressive. Robert was among those who recognized Paso Robles’ potential for making great wine early and put in the time, effort and capital to create something special. He was as great a motivator as he was a self-promoter but I remember most his hospitality and generosity and I along with our staff were lucky to be able to spend some with Robert and his winemaker of 20 years, Don Brady. Don continues to craft excellent wines from superb Paso Robles vineyard sites. Robert is gone but not forgotten and every time I open a RH wine I toast the man.Cheers Robert!